We try to give you as much control as possible at SportTracks. You have full control of your privacy, the layout of your pages and charts, and you have deep editing capabilities with workout data. 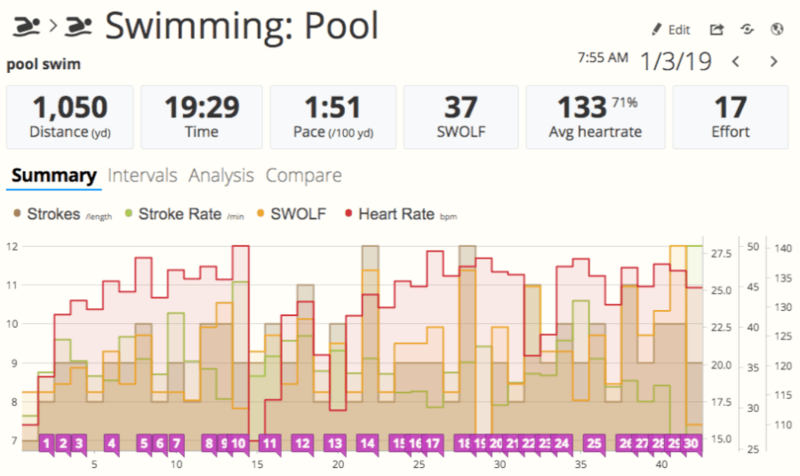 We recently rolled out a feature that enabled you to easily split a workout in two, or to trim the beginning and end. Now we've made it possible to easily join two workouts as one! At first we thought this would be something you wouldn't need very often. As fate would have it, I had an issue with my watch that made me create three separate workout files for a single swim a day after this feature went live. I needed to join workouts right away! Then I hit the new Join button in the upper left side of the screen and a dialog box opened up to warn me that the change was permanent. I clicked Ok. 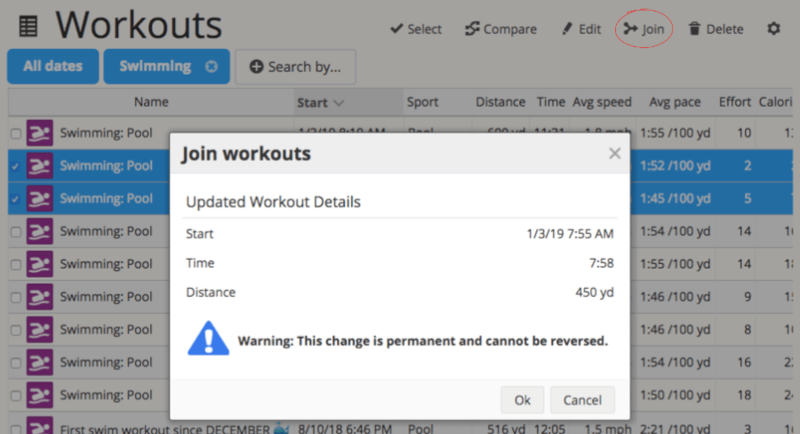 The new Join Workouts feature is yet another example of a useful utility in SportTracks that you simply won't find on competing platforms. We sincerely hope your training tools operate flawlessly and you never need to use it. But, in the event that your tech gives you trouble, you will have ease of mind knowing that with a few simple clicks your training log will be correct. What makes the Fenix 5 Plus different from the old models?